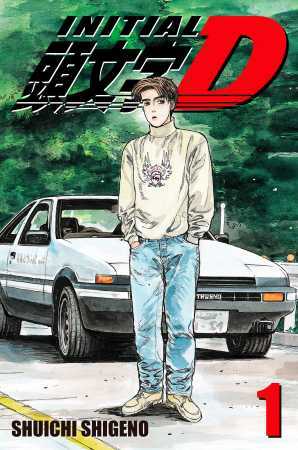 Yep, the rumors are true: Initial D is back—and it’s gone beyond! First published by Tokypop in the early 00s, the English translation was never completed. Now, not only are Kodansha Comics and our pals at comiXology Originals digitally reissuing all 33 volumes previously released by Tokyopop, we’re going beyond to complete the whole freakin’ 48-volume run for the very first time! 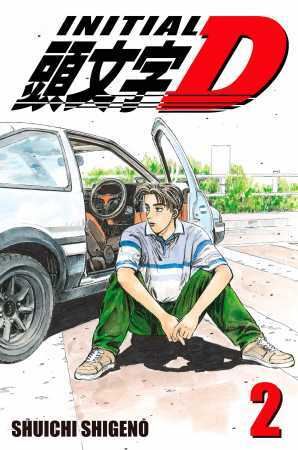 As of today Volumes 1-38 of Initial D, Shuichi’s Shigeno’s all-time classic of Japanese street racing, are available exclusively on Kindle and comiXology. Volumes 1-33 have been out of print for years, while Volumes 34-38 have never been translated into English before. Look for Volumes 39-48 later this year. Click on Volume 1, above, or just scroll down below for a free preview of all of Chapter 1! Tak Fujiwara spends a lot of time behind the wheel. His tofu delivery job sends him racing down the treacherous roads of Mount Akina, and without even realizing it, Tak has mastered racing techniques that take most drivers a lifetime to learn. Of course, none of his friends realize this. They’re all too busy watching the Akina Speed Stars, the local street racing team. When the legendary Red Suns show up to challenge the Speed Stars, it looks as if the Trueno Eight Six that has been seen racing through the mountain roads will take them on. The question remains … who’s the driver of this phantom car? 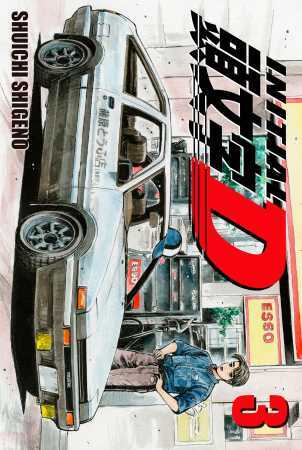 Shuichi Shigeno is best-known for his long-running masterwork, Initial D, which ran from 1995 until 2013. He’s currently at work on the manga series MF Ghost, which is set in a near-future world of self-driving cars—and street racing.